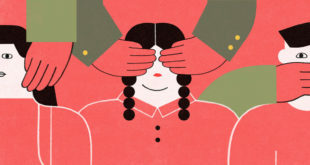 Reuters is reporting that new ‘fake news’ fighting policies are being enacted in the Xinjiang province of China, in an effort by the Chinese to push back against those who like to post ‘harmful’ information online, which do not adhere to government rules. If, in fact, this were to happen and the website owner was cited for violating the law, said website owner would be subject to fines up to $72,700 and a total shut down of the site. China will fine anyone who spreads fake news in its western region of Xinjiang, state media has reported, as part of new measures to maintain stability in an area prone to ethnic unrest. China says it faces a serious threat from separatist Islamist militants in Xinjiang, which borders central Asia, Afghanistan and Pakistan, and is home to the largely Muslim Uighur minority group. Hundreds of people have been killed in violence there in recent years, but rights groups say at the root of the trouble are government policies that repress the religious and economic freedoms of the people. The new rules, adopted by Xinjiang’s regional parliament, allow for fines of as much as 500,000 yuan ($72,700) for website operators who create, compile, spread, release or copy information considered harmful or false. The regulations, which go into effect on Saturday, aim to “prevent and punish the online spread of false news” that might “disturb social stability”, the newspaper said. After riots in Xinjiang’s capital, Urumqi, in 2009, the government cut off internet to the city, only restoring full access 10 months later. The buzzwords ‘fake news’ have been all the rage ever since Donald Trump upset H. Clinton during the elections — something no one in the main stream media saw coming — fueled by rigged polls. Immediately after he won, Obama and the main stream media blamed disinformation, through socials like Twitter and Facebook, as one of the primary causes of Hillary’s defeat. In recent days, the rhetoric surrounding fake news has reached a new fevered pitch, after an alleged gunman walked into Comet Pizza to investigate Pizzagate. Both Facebook and Twitter have said they will do their part to fight this new evil force, through the explicit censorship of their platforms. Interestingly, after the elections, the Chinese state media published an ‘I told you so’ oped , pushing for the U.S. to censor news and to regulate the information flowing freely across the internet. Shortly thereafter, as if taking orders from above, the fake news narrative took off in the U.S. The truth is, branding news as ‘fake’ and creating rules to censor it, by using the excuse of ‘protecting the people’, is just another scheme by governments to control the narrative by regulating what information its citizens consume. Some serious examples of fake news, disseminated by government controlled media organizations in America, but not reported as such, include the following. The attack on the Benghazi Embassy was because local head cutters in the region were pissed off over a youtube video. Hillary Clinton had a 99% chance of beating Donald Trump. Obamacare would lower the cost of healthcare and you could keep your Doctor. The Russians were interfering in our elections. The ‘rebels’ in Syria were the good guys. Saudi Arabia did nothing wrong. The Iran nuclear deal was good. The Clinton Foundation was a great charity. Globalism helps middle class Americans. Trump supporters are racist klansmen. The ‘Hands Up, Don’t Shoot’ narrative in Ferguson that started Black Lives Matter movement. The list goes on and on. Feel free to add your own in the comments section.